THPBlog: W.M. Beaty & Associates planning THP next to the town of Westwood, CA. W.M. Beaty & Associates planning THP next to the town of Westwood, CA. THP 2-13-053 LAS (Meadow View THP) W.M. 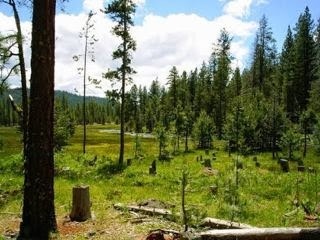 Beaty & Associates, 3713 acres; 99% group selection, 1% no-harvest logging. Coppervale Station, Lower Robbers Creek, Upper Goodrich Creek, Lower Goodrich Creek (MD: T28N R9E Sec.2, 3, 4, 5; T29N R9E Sec.27, 28, 29, 32, 33, 34, 35; T29N R10E Sec.19, 20, 29). Winter operations, moderate erosion hazard, slopes up to 50%, unstable area, wet seasonal meadows, 3 CA spotted owls within 1.3mi, bald eagle nest nearby, willow flycatcher and sandhill crane sightings, Sheldon's sedge, scattered large trees. Estimated public comment deadline: 10/19/13. This THP is just north and east of the town of Westwood, CA between highways A21 and 36. W.M. Beaty & Associates is planning a group selection tractor based logging operation in mixed conifer forest. There is a small debris slide in the NE of section 35, and 3 landings that will be used in and around a watercourse including a landing within a class III watercourse, a landing within a small swale, and a landing within a seep. 35 road drainage sites are planned for work including dip construction, rocking and culvert maintenance. There are 10 segments of roads within and/or adjacent to a watercourse. Wildlife sightings include; a historic fisher detection in THP area, sandhill crane sightings immediately adjacent to the THP area, a bald eagle nest located immediately adjacent to the THP area, and willow flycatcher habitat reported to be nearby in section 35. More information is available on the THP Tracking Center website.